Brushing dry tangles can hurt the scalp and break hair strands. Every morning is met with the same battle. "Don't comb my hair today mommy, just leave it." I can't in good conscience send my girl to school with hair pictured in the left hand side above. No matter how carefully we comb her hair, or make sure it is dry before bed, we wake up to tangles and tears. I've tried the de-tangler spray sold for kids, it is either too perfumey or doesn't work without entirely saturating the hair. I used the NEW Wild Naturals Herbal Essences Oil Elixir spray and a wet brush. The results are pictured in the right side photo above. 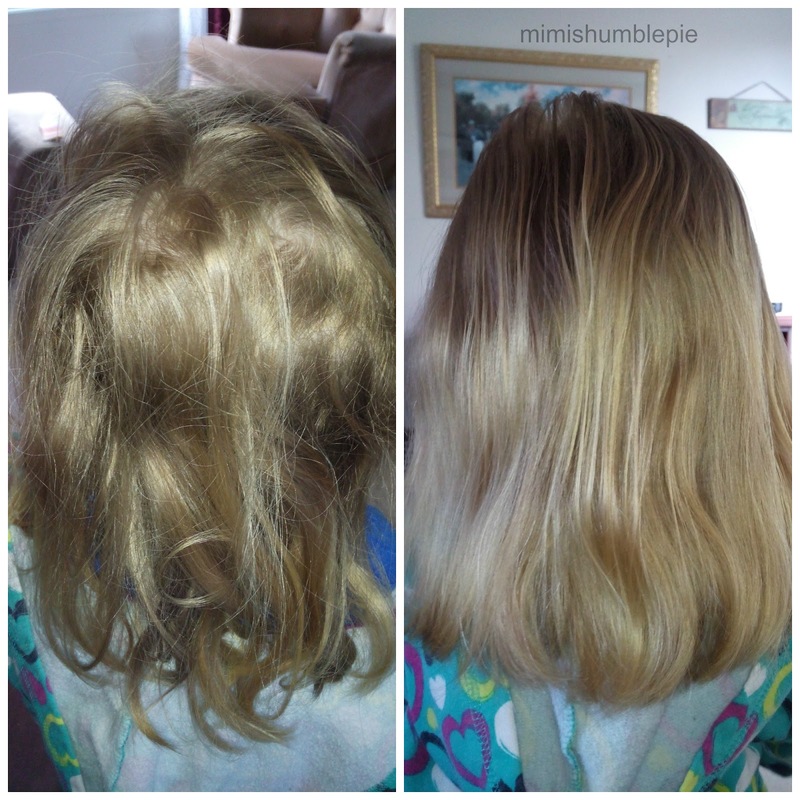 We use the spray a few days a week now, after her hair is washed and before we blow dry. Her hair is noticeably easier to comb and appears softer. 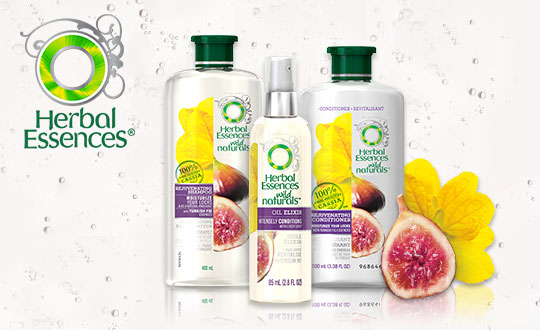 Have you tried any of the new Wild Naturals products yet? Disclosure: I received product to aid my review. All opinions remain honest and my own.